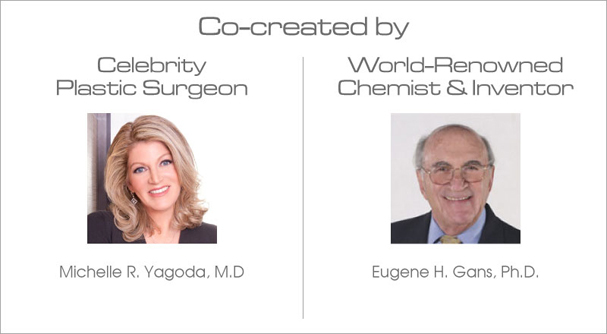 BeautyScoop® is a wholly original, nutritional beauty supplement, created and patented by prominent NYC celebrity plastic surgeon, Dr. Michelle Yagoda and world-renowned chemist and inventor, Dr. Eugene Gans. It is the first and only whole body healing beauty infusion rich in bioavailable special peptides and lipids (SPLs) – the extra-nourishing building blocks the body needs to make healthy, more perfect and beautiful skin, hair, and nails. It is reinforced with collagen and hyaluronic acid for superior vigor and maximum hydration. 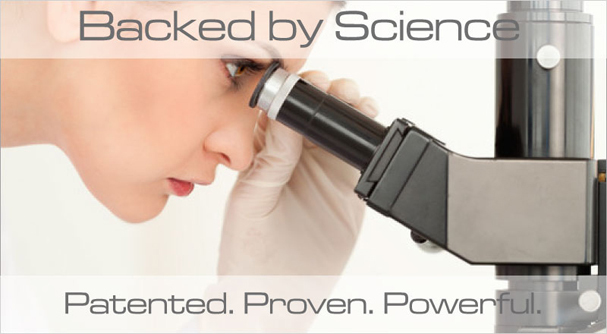 Its clinically proven results were documented by independent physicians in double-blinded, placebo-controlled studies that spanned more than a decade. The results of these studies were presented at the 50th Annual Meeting of the American Academy of Facial Plastic and Reconstructive Surgery, and the 11th International Symposium of Facial Plastic Surgery. 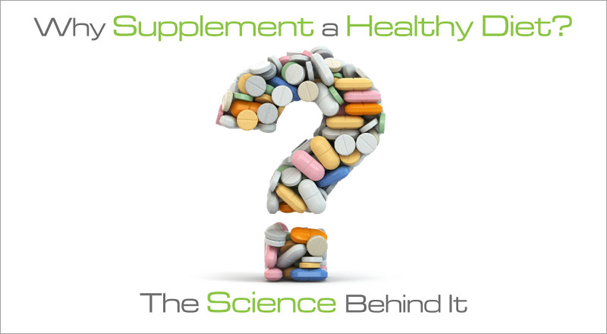 The data was published in a special section on Nutrition Therapy in the Journal of Nutrition and Food Sciences. 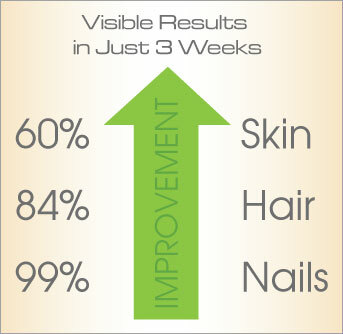 In the trials, 86% of users noted measurable and significant improvement in their skin, hair and nails within three weeks of using BeautyScoop®. 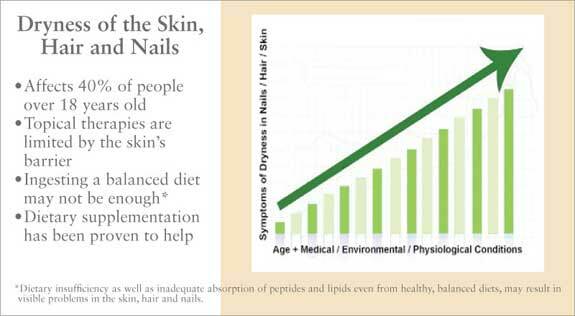 Dryness of the Skin, Hair and Nails? 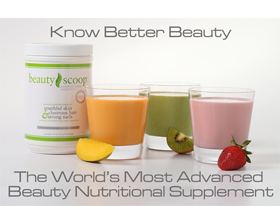 BeautyScoop®‘s patented and scientifically proven anti-aging beauty nutritional supplement, is in a pure powder formula for maximum bioavailability, immediate absorption and long-lasting results. 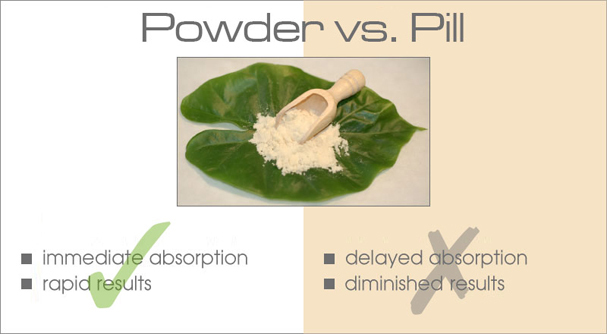 It provides immediately usable SPLs (no need to wait hours to digest it and break it down in order to absorb it as you would with a regular diet, or with pills and bars with added binders and fillers) in a sufficient quantity for immediate, unrestricted use. 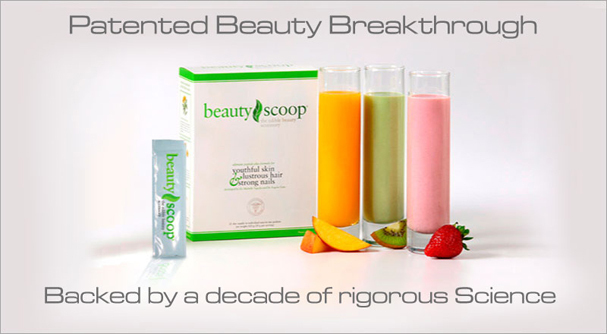 BeautyScoop® stimulates the body to make more perfect skin; longer, thicker hair; and, stronger, more beautiful nails. Remember the old saying, “You are what you eat”? 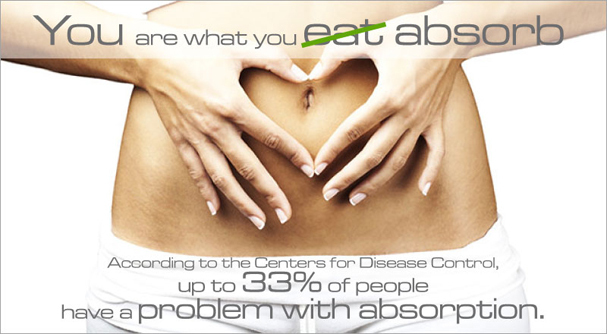 Well, with BeautyScoop®, you are what you absorb! 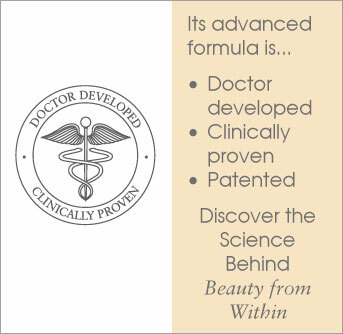 BeautyScoop®‘s highly bioavailable powder formulation provides rapid, measurably significant, and long-lasting results. It is to be considered a critical component of a comprehensive skin, hair and nail care regimen. 1 U.S. Centers for Disease Control and Prevention (2012) Second National Report on Biochemical Indicators of Diet and Nutrition in the U.S. Population. Atlanta, GA; National Center for Environmental Health. 2 Bender AD  Effect of age on intestinal absorption: implications for drug absorption in the elderly. J Am Geriatr Soc 16(12): 1331-1339. 3 Chenoff R  Micronutrient requirements in older women. Am J Clin Nutr 8:1240S-1245S. 4 Iwai K, Hasegawa T, Taguchi Y, et. al. Identification of the food derived collagen peptides in human blood after oral ingestion of gelatin hydrolysates. J Agric Food Chem 53:6531-6536. 5 Sato T, Sakamoto W, Odanaka, W, et.al. 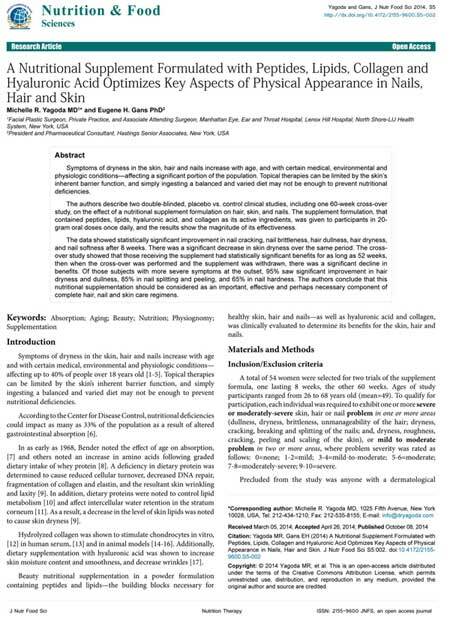 Clinical effects of dietary hyaluronic acid on dry, rough skin. Aesthetic Dermatol 12:109-120.